Here is the behind the scenes of the marimekko fashion editorial I styled. Here is what you need to know about Marimekko. Marimekko was founded in 1951 by Viljo and Armi Ratia.Two pioneering designers set the tone for Marimekko: Vuokko Nurmesniemi in the 1950s and Maija Isola in the 1960s. Nurmesniemi designed the simply striped red and white Jokapoika shirt in 1956. Isola designed the iconic Unikko (poppy) print pattern in 1964. Marimekko was made famous in the United States by Jacqueline Kennedy, who bought eight Marimekko dresses which she wore throughout the 1960 United States presidential campaign. The one store in Seattle that sells the Marimekko brand is Pikko.com. The shoot took place at the Seattle Nordic Heritage Museum, which at the time was exhibiting Marimekko, With Love. Marimekko, With Love is organized and circulated by the Textile Museum of Canada and curated by Shauna McCabe. 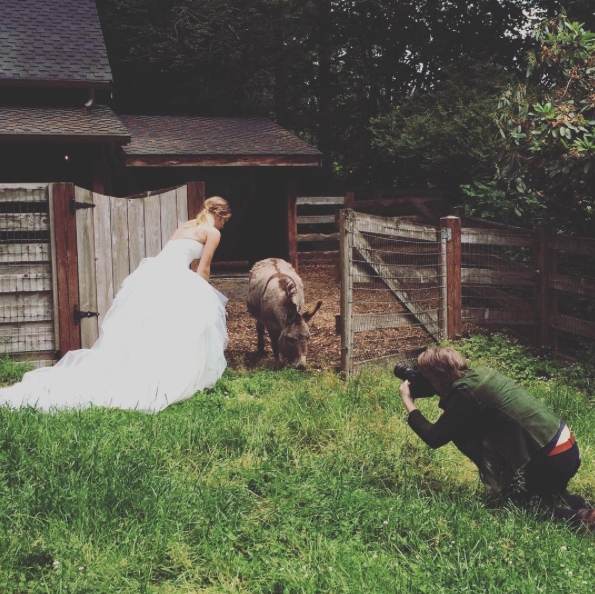 So much fun to have a fashion shoot on a farm. Bella Luna Farms, located just north of Seattle was a beyond beautiful backdrop for our dreamy bride. From a cute farm house overlooking the animals, to lush gardens. I would totally live a farm if it look and feel similar to Bella Luna Farms. I love the way this shoot turned out. The models makeup looked so dreamy. The dresses were sample size and for the most part fit the model perfectly. I styled it very simple. Everyone in the crew were in sync and on the same page along with the weather being beautiful. Outdoors in Seattle… can sometimes be tricky. If you could image living in a country like oasis but smack-dad in the middle of a city than we would be talking about Seattle’s Discovery Park Fort Lawton Homes. Fort Lawton homes were originally built between 1899 and 1935 for military personnel defending the coastline from a naval attack. Divided into two neighborhoods of thirteen – Montana Circle and Officer’s Row, the colonial-revival homes have a small town, middle of no where type of charm. A total of 26 historic homes were refurbished. I styled two back to back shoots in Discovery Park Fort Lawton Homes. I had so much fun shooting with photographer Katerina Gkionis. It was me, the art director and photographer wandering around Discovery Park (in Seattle, Washington). An all girl skeleton crew made the day short and sweet. Especially since the weather that day was beautiful. It was such a surprise to learn that this shoot ended up being the cover of Weight Watchers May/June 2016 issue. I have shot at Discovery Park a few times, and every time is some place completely different. One the of bigger parks I have explored. It has a light house, beaches, tall grass fields. Some place you could definitely get lost in.